Learning how to draw or paint is such a rewarding and fulfilling journey. There is nothing like watching color fill the canvas and the subject start to take form. But it doesn't come without frustrations. 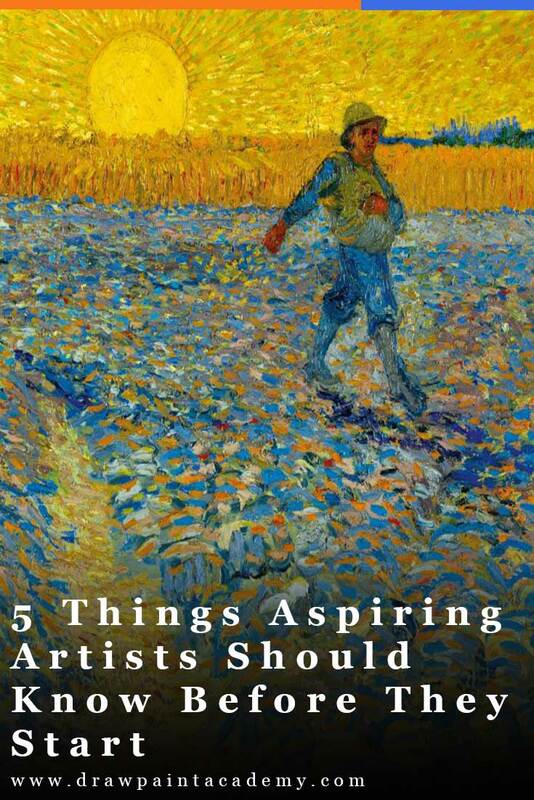 Here are 5 things which I think you should know before you embark on your own art journey. [Story time] In high school I was a keen volleyball player. I did well, winning the MVP award with the premiership team in my final year of school. But my first few years in the sport were not so glamorous. In fact, in my very first year I only just scraped into the A team. And I didn't get much court time that year either. But while everyone was focusing on flashy techniques and show-pony moves to battle for the spotlight, I was learning the basics. Over and over again. This was an investment which certainly did not pay off straight away. If anything, an outsider would have thought I was getting worse. But gradually things started to click and by the end of the year I won the "most improved" award (which just meant I went from bad to ok). But those improvements kept coming and people struggled to keep up because I had invested in the basics and foundations of the sport. I think the same way about art. If you are learning the right way then you may get worse before you get better. The right way may change from person to person, but it should always be focused on long-term growth and fundamentals in my opinion (learning virtuoso brushwork will have little benefit early on if you are not even able to paint the basic shapes and mix the right colors). So if you feel like you are not improving, don't worry. It is to be expected if you are investing in yourself. Look for long-term improvements, not short-term gimmicks. "But how are you going to make money?" "What about a safe career?" Unfortunately, there is some truth to these questions. It is difficult to achieve commercial success in the art world. 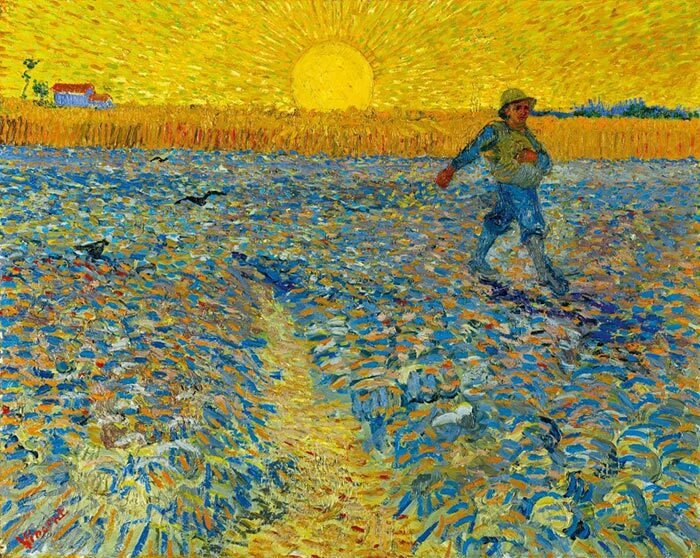 Many of the famous artists we study today experienced financial hardship during their lives (like Vincent van Gogh, who is thought to have only sold one painting during his life, despite his paintings being worth millions today). Does that mean you are doomed to live a life of poverty if you decide to take the artist road? Of course not. Now is a better time than ever to be an artist. You just need to be resourceful and have a strategy. You need to work towards building your name as an artist, developing your skills so that people are not able to ignore you, entering and hopefully winning competitions and building your portfolio of work. This all takes time and nothing is guaranteed. You will likely need to pursue other sources of income whilst you are doing this. But there are many options at the moment. You could go into illustration, design or teaching just to name a few. Just be aware that commercial success does not come easily. A common problem with people learning art is they pick up a few handy techniques, learn a few standard color mixtures and that's it. They practice these techniques and colors over and over again, painting slightly different subjects. But their progress then comes to an abrupt halt after a while. There is nothing wrong with having go-to techniques and colors. But do not be bound by them. Always save room for experimentation. Don't get so caught up in your own ways that you stop learning new things. Art is subjective by nature. That means some people will like what you produce (hopefully) and others will dislike it. That is just part of the game. There is no possible way to please everyone. Instead of trying to please everyone, think about who your most loyal fans are and try your absolute best to please that group. By doing this, you will develop a very close relationship with your most loyal fans. They will tell others about you. And your group will grow naturally. If you try to please the masses, then you will struggle to break into the market. You need to niche down and go from there. I have been putting together a general summary of the modern art movements and one thing I can't help but think is... what happened? We went from delicate realism, to the vibrant colors and bold strokes of the Impressionists, to the emotional and dramatic paintings of the Expressionists. Then we arrived at paintings which are nothing but pure white or a simple arrangement of shapes and colors on the canvas. I don't know about you, but this seems like backward progress to me. It seems to me that the art world is rigged to an extent. We have big money and groups of people who have never touched a brush in their life dictating what is considered to be great art. I try to separate myself from this side of the art world. Just be aware of this and try to stay true to your vision as an artist. Don't get caught up in the gimmicks and fluctuations of the modern art world. Surround yourself with artists who inspire you and ignore those who don't. Thanks Dan. I am re-reading your 21 Easy Ways, and frequently look at past posts. I absolutely agree with your last comment. Art should be what you feel inside transferred onto a canvas. The constant excitement from beginning to the end of the painting is what a self taught artist treasures. I am a lefty we’re special artists. Thank you, Dan. Words of wisdom. Great advice, I have a “. Beginner ” friend who will benefit from this, Thankyou. Really enjoy reading your newsletters. Thanks for this article. Its simple but useful advice.